Train and Gain with a StreetGames Apprenticeship! Whether you’re more interested in equipping your business for tomorrow, or improving its credentials today, a StreetGames apprenticeship will ensure that both you and your staff receive the very best skills and qualifications available. StreetGames now offers two brand new qualifications, the Community Activator Coach (Level 2) and Community Sport & Health Officer (Level 3). Community Activator Coach (Level 2) – The Activator Coach leads fun, inclusive and engaging activities that help people of all ages to change their behaviour and adopt a physically active lifestyle. The apprentice will learn how to activate groups in low-activity communities, utilising the power of sport to create positive ‘sport-for-good’ outcomes. 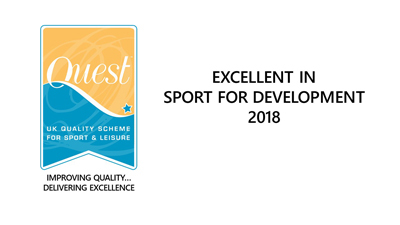 Community Sport & Health Officer (Level 3) – The ‘CSHO’ designs programmes that make a real difference to their target neighbourhood. The apprentice will master the ‘asset-based approach’ to community sports development. The programme supports the individual to scope, organise and coordinate the delivery of community projects by getting more from private, public and third sector partners. Just like your apprentice, the StreetGames apprenticeship programme works for you – by adapting to meet the needs of your business. Prefer to work in a cluster system, to share knowledge, and to split an apprentice’s wage between a number of partners? With StreetGames you can.